It’s hard to believe it, but it’s my rotation again for infant toddler storytime! This storytime marks the beginning of my Fall Storytime session. I was on vacation and then sick until the day before this storytime, so I used a Fall standby theme. My storytime wasn’t quite as polished as I would have wished, but sometimes that’s just the way it goes, right? Library Village – Baby Story Time – Welcome Fall! As I mentioned, since I was sick right before this storytime, it wasn’t as well-thought out as I would like it to be. I forgot to look up the ASL sign for apple before storytime, so I left that part out, and I also forgot my Nursery Rhyme flannel at my desk, so I didn’t do that element either. I figured since this was the first storytime of the session, and I usually spend some time introducing myself and going over storytime guidelines, that took up enough time and I didn’t really need the other elements. I chose McClure’s Apple because I really liked the black and white images and thought they might carry well for a storytime group. After reading it to the group though, I’m thinking it may have been a little long. Here’s hoping next week’s storytime will be better. 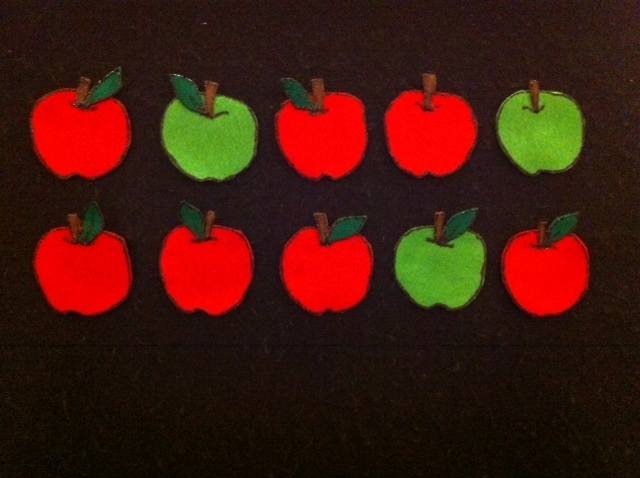 A few weeks ago I did an apple storytime, but I forgot to post it on here! So, I figure better late than never. September always makes me think of starting school (even though school starts here now in August! ), and fall (even though it’s in the high 80s, mid 90s). So how else could celebrate the first Saturday in September than with a storytime about apples, the most quintessential of fall fruits? was planted in the ground. Down came the raindrops falling all around. to be an apple tree. and apple is its name-o. Continue singing and clapping until all apples are turned over. And down came an apple. Mmm… was it good! (rub tummy). Continue with the rhyme until all apples have been eaten! Though we say this is a preschool storytime, we actually end up with a wide range of ages in the audience on any given Saturday. I started out with the book Ouch! 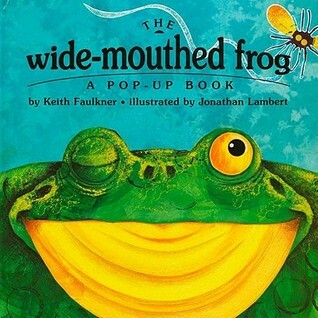 because that is one of my favorites – I love the illustrations, and the kids and the adults both seem to get a kick out of it. However, with the group I had this Saturday, the story felt rather long. That’s why for my second book I chose Apple Pie ABC – it’s still engaging, and the photos are wonderful, but it is a lot shorter and I hoped that would help with the concentration of the audience. I think it worked. Also, the video was a good one – again, slightly long, but since it is one the kids are familiar with I think that helps. I swear I could hear a little voice singing along, but I couldn’t locate where it was coming from. 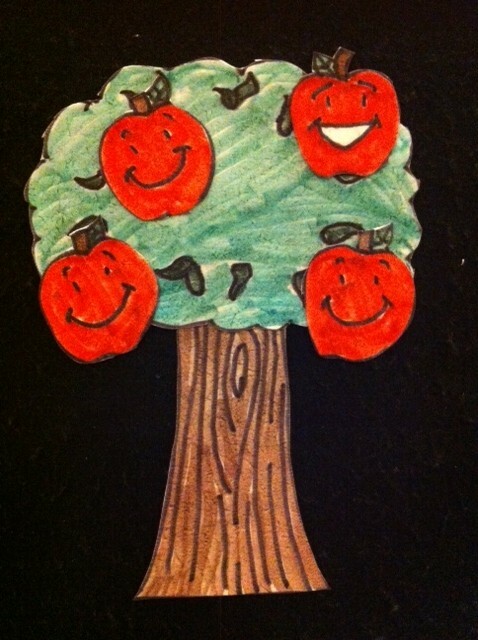 When I started planning for the fall session of infant toddler storytime I thought I would start off with a seasonal choice and do stories about autumn. After searching for a bit, however, I couldn’t find many that had a good solid story that would be short enough for the first day of the session. So I then turned to another great aspect of fall – apples! MOVEMENT:“Clap Everybody and Say Hello” from Sally Go Round the Sun by Kathy Reid-Naiman. 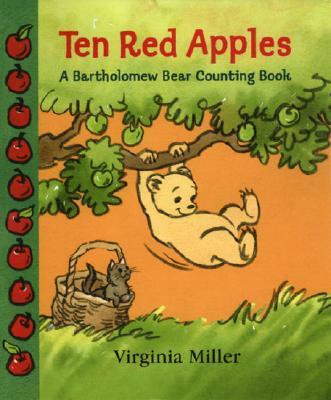 Since ththis works on two levels (it has a story running along the bottom, and a counting aspect along the side), for the most part I just stuck with the story and read that portion, except when it mentions that Bartholomew likes counting the red apples — then the group and I counted together. Today we did our counting song, of course, with apples. I added a few green apples to the mix to brighten things up. Four little apples smiled at me. How many apples do we have left? 3! Three little apples smiled at me…. Continue until you’ve eaten all the apples. 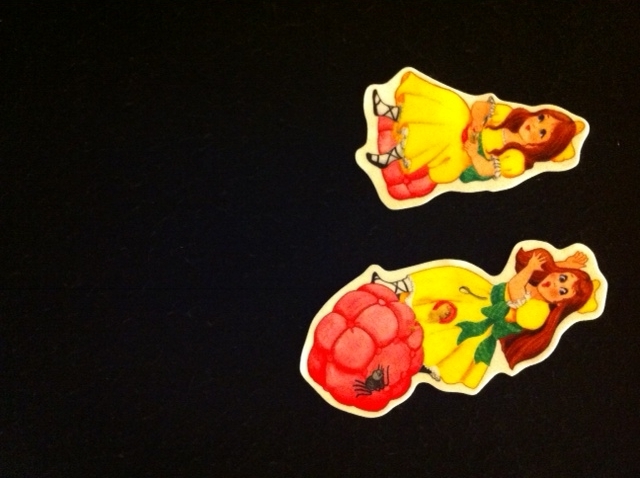 For my 10am storytime I actually put five red apples on the flannelboard and we counted that many together. That seemed to be a bit much, so for the 11am storytime I switched to four and that was much better. 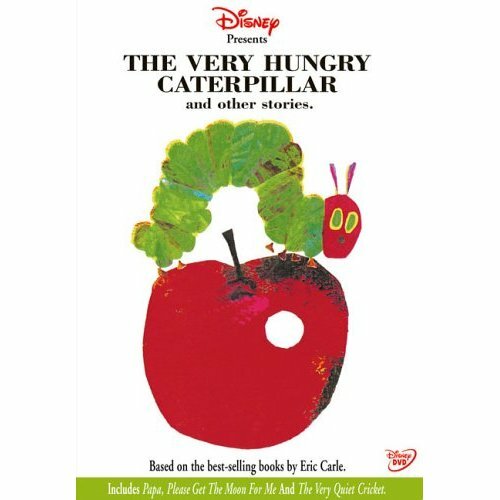 “The Very Hungry Caterpillar” from The Very Hungry Caterpillar and Other Stories. I actually thought I would show “Chicka Chicka 1,2,3” as my video, but my hold didn’t come in time. 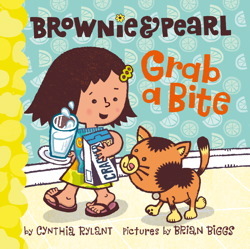 I remembered the cover of this DVD, and sure enough, the first item that our very hungry friend eats is an apple. It’s fun to hear the ooohhs and ahhhs when he becomes a butterfly. With it finally starting to cool down here, it is beginning to feel a bit like fall. 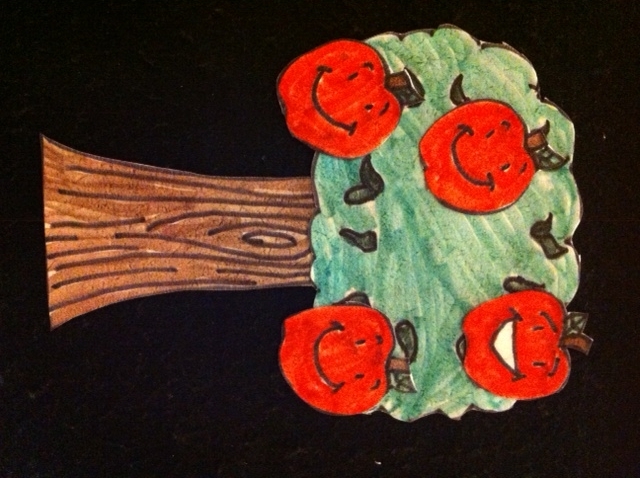 What a better way to usher in the new season than with a storytime about apples? 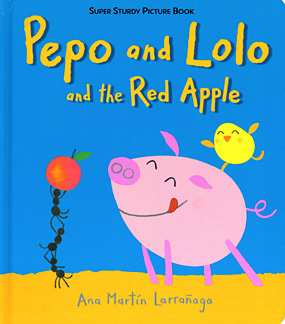 I think in the future I might switch up Brownie and Pearl Grab a Bite and used that for the toddlers instead, and then used something like Pepo and Lolo and the Red Apple by Ana Martin Larranaga with this age group. This is a nice rhyme because you can adjust the number of apples you use depending on the group. I think I actually just used three apples with the infants. 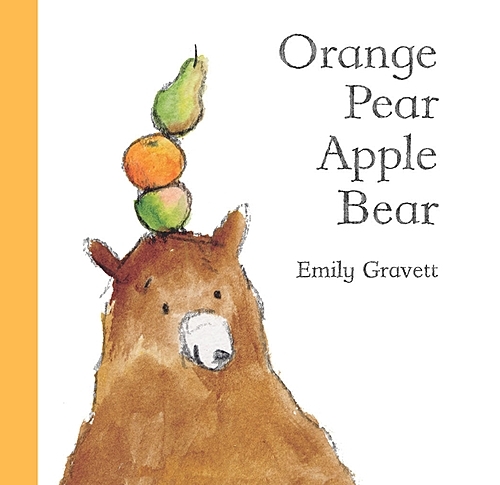 I’d never used Orange Pear Apple Bear and I think it went really well. I would use that one again in a heartbeat. This flannelboard is from Little Folk Visuals. While I enjoy making my owl flannelboards, since I use Nursery Rhymes so frequently, these sets have been a great addition to my flannelboard stash.